Car shopping in the Frisco area? 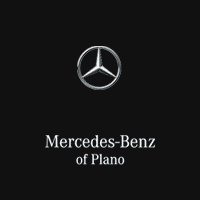 Look no further than the new vehicle inventory at Mercedes-Benz of Plano. We have a wide variety of models in stock, from the popular Mercedes-Benz E-Class and C-Class to the brand new 2019 GLE. Our sales team is standing by to get you behind the wheel of the model that best suits your budget and driving needs, and we always have rotating finance and lease specials to make the car-buying or leasing process that much less stressful. When you’re ready to take your commute to the next level, stop by Mercedes-Benz of Plano to peruse our new Mercedes-Benz models for sale in Plano! 4MATIC®, Black Leather. 2018 Mercedes-Benz S-Class 2D Coupe Desgo Diamnd Wh S 560 4MATIC® 4.0L V8 9-Speed Automatic 4MATIC® Call us today to schedule a hassle free test drive! We are located at 6455 Dallas Parkway, Plano, Texas 75024. Visit us online at www.mbplano.com. We offer free airport pickup. We can help facilitate low cost shipping directly to your door. Come see how easy it is to do business with the Ewing Automotive Group.4MATIC®, Black Leather.